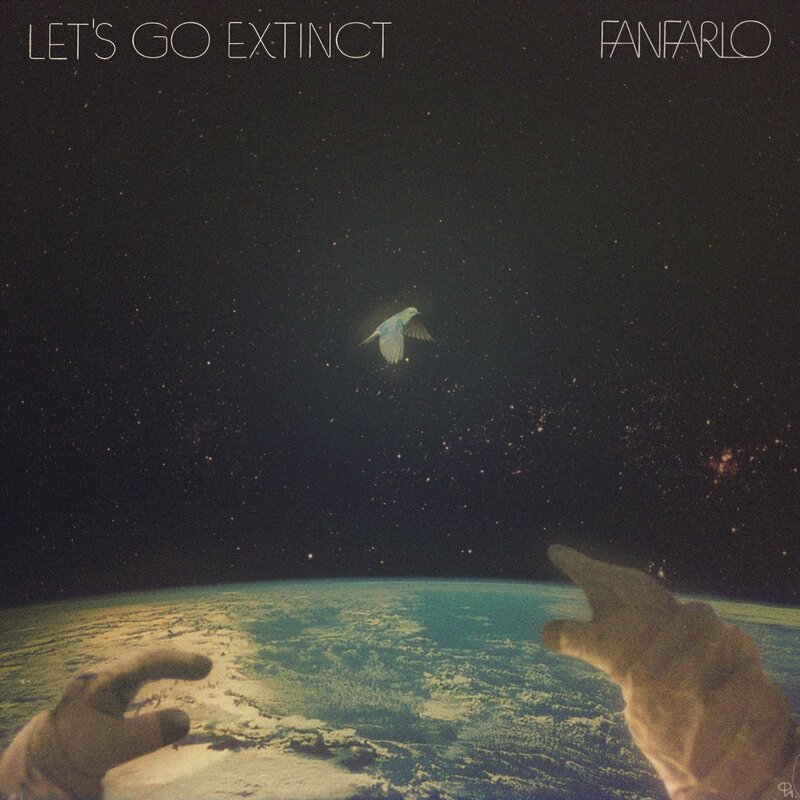 It’s hard to believe that nearly four years ago, London’s Fanfarlo released their impressive debut Reservoir. As soon as their second album Rooms Filled With Light and EP, The Sea dropped, signs of evolution were hinted at. With their third album, Let’s Go Extinct, the five-piece has solidified the direction they want to go in with certainty and confidence. Mélange would be an appropriate word to describe the album. It’s a smooth infusion of their folk-tinged pop roots with heavy use of synthesizers. “Life in the Sky” sets the stage with retro-futuristic soundscapes that fly through the background and lurk behind the vintage guitar melodies of “Cell Song.” “A Distance” and “Landlocked” exemplify their blend of contemporary indie-pop with a dash of space-age disco and New Wave. Fanfarlo’s greatest strength has always been their use of a wide-array of instruments (horns, woodwinds, strings). “Myth for Myself,” “Painting with Life,” “The Grey and the Gold,” and the eponymous track shimmer with beauty through its near-orchestral arrangements, and not once do they sound awkward or misused. Let’s Go Extinct is a well-written, well-conceived, and well-executed effort, showing that Fanfarlo is willing to experiment without hesitation.